We all have those places – those places that we go to over and over again, and every time, we order the same thing. Because we know it’s good, because we have a craving for it, because we know we love it. 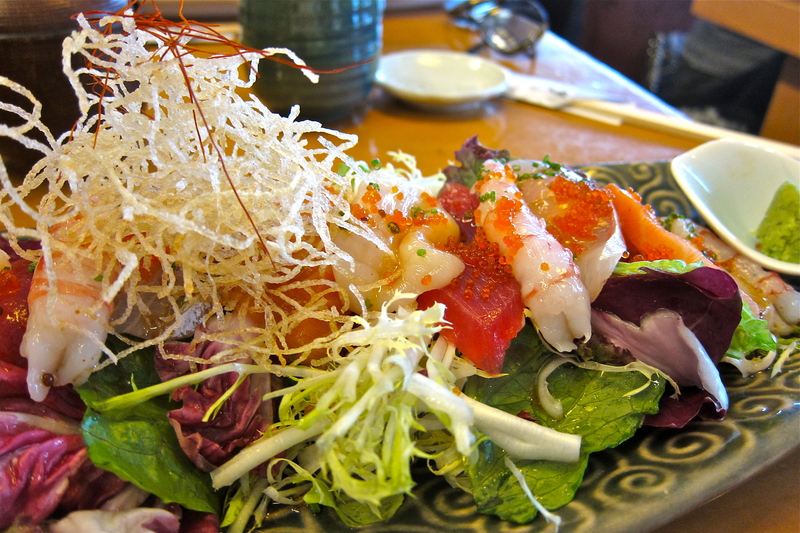 The Sashimi Salad at Sushi Kuu is my ‘thing’. There are so many delicious choices on the lunch menu, and yet most of the time I say no to the menu, and I order the sashimi salad. Salad greens, dressed with a yummy yuzu dressing, and topped with a generous amount of fresh sashimi, and this amazing crunchy stuff, it hits the spot. It satisfies the hunger without being too filling. 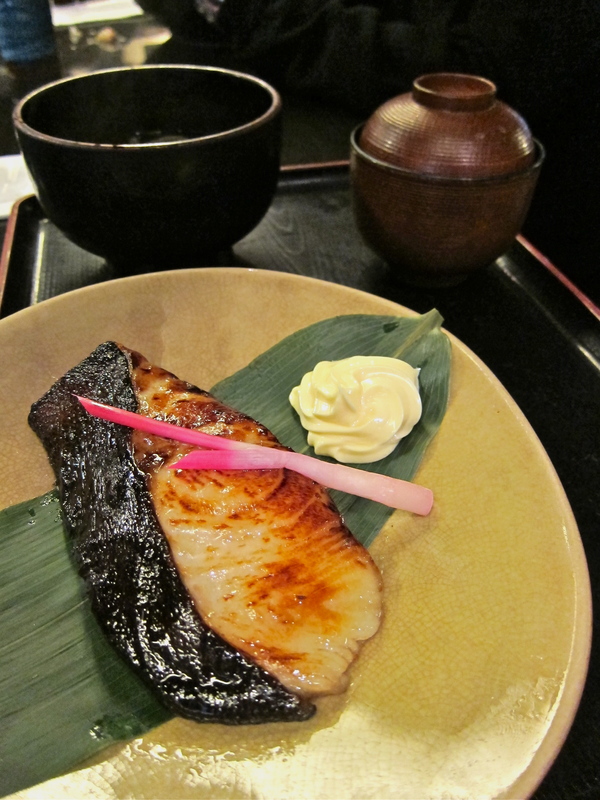 I have been ordering it for years, and the portions have always remained consistent, as well at the selection of fish. As an added bonus, it’s always the quickest dish to arrive, so if you’re in a rush, it’s a good one to order. 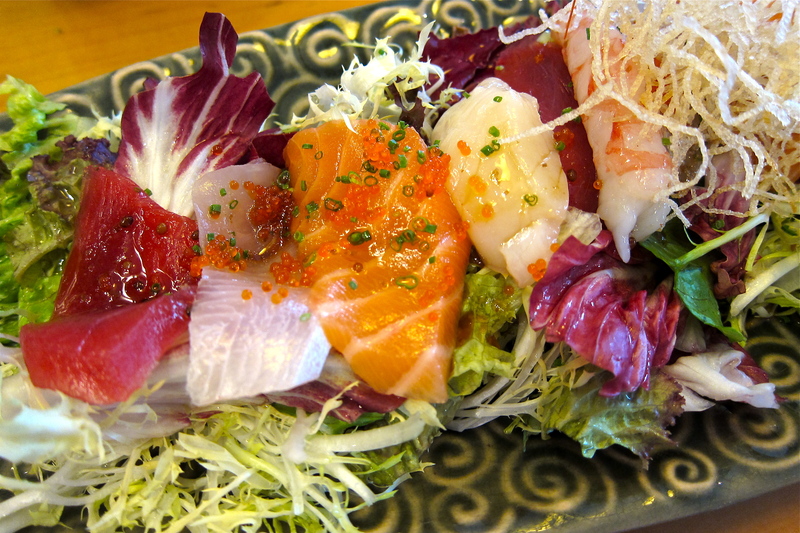 The salad has all of my favorite sashimi selections: scallop, salmon, sweet shrimp, hamachi and tuna. I have, on limited occasions, strayed from my usual selection and can confirm that the other items on the Set Lunch menu are pretty damned good as well! 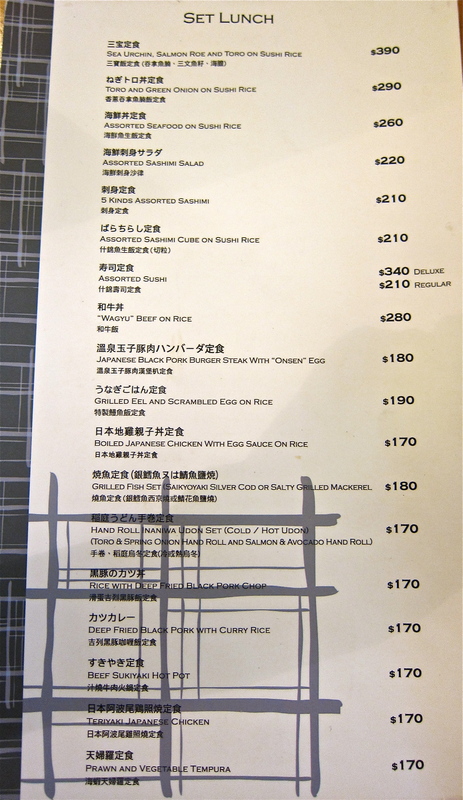 My second favorite is the Grilled Eel and Scrambled Egg on Rice, and the silver cod is also very nice, as is the Beef Sukiyaki. 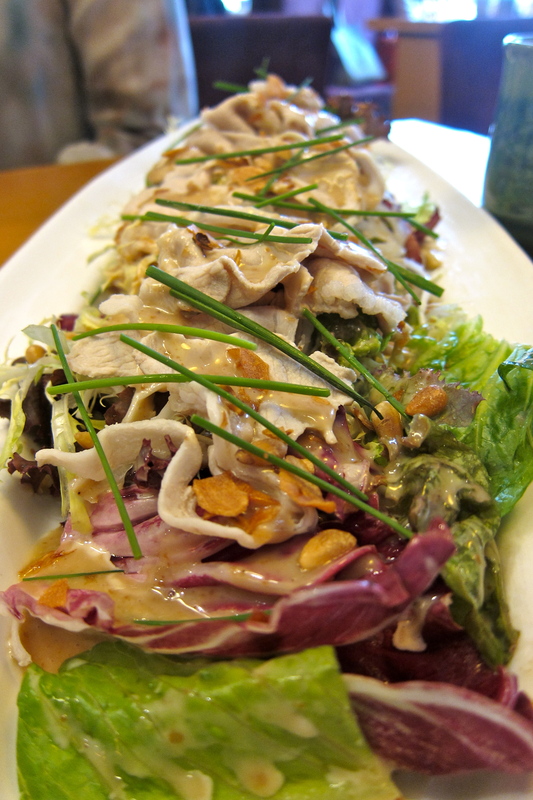 My friend NS’s ‘thing’ is the Shabu Shabu Salad, which is on the a la carte menu. 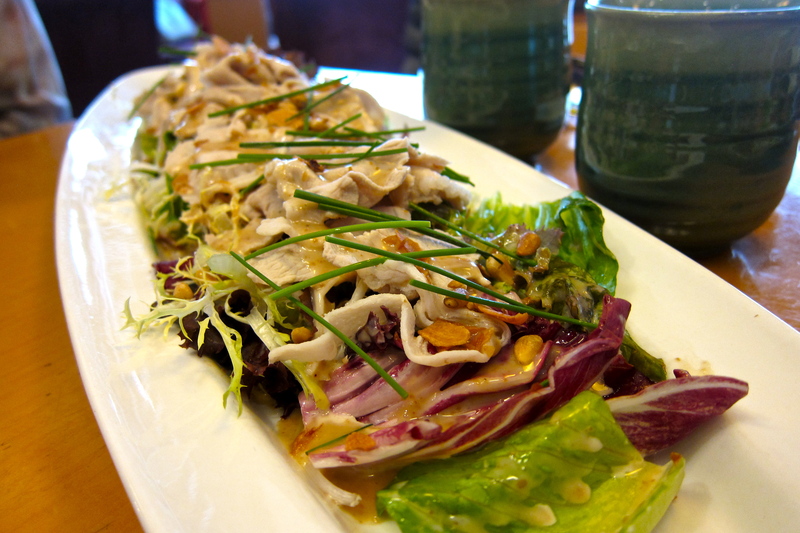 She always orders it when we go – thin slices of pork with a wonderful sesame dressing. Reservations are pretty essential at lunchtime, although if I call in the morning for a reservation on the same day, I’m sometimes lucky and get a seat at the sushi counter. If you haven’t already gone, then please do, and order your ‘thing’.